Alert Construction is sponsoring this year's SE Fun Fest in Pleasant Garden. Alert Construction is proud to announce their sponsorship of this year’s SE Fun Fest. The daylong event will take place October 12 from 11 a.m. to 5 p.m. at Hagan-Stone Park in Pleasant Garden, N.C. The community festival will feature live music, food, vendors, a car show and a chili cook-off. There will also be a kid’s area with jugglers, inflatables, games, face painting, and storytelling. There will also be pony rides for $5, with all proceeds benefiting the Kopper Top Life Learning Center. SE Fun Fest is organized by the Southeast Guilford Community Foundation, an organization dedicated to strengthening the community, and serving as a vehicle for private donors to make a lasting contribution. 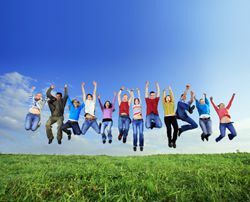 According to their website, attendance for the SE Fun Fest grew from 3,000 attendees to 6,000 in its first three years. Ed Regensburg, owner of Alert Construction, is excited to be a Hallmark sponsor of the event. "We are proud to sponsor an event that our community looks forward to every year," says Regensburg, whose company has sponsored the event for the past three years. "We enjoy solving homeowners' home improvement needs, but we are also very involved in our community, and Fun Fest is a fun way for us to help out our community." For directions to the festival or to register to be a vendor or volunteer, visit sefunfest.com. 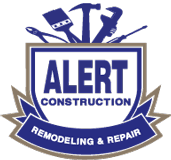 Alert Construction has over 15 years of experience providing roof repair and replacement services to customers throughout the Triad area of North Carolina and Virginia. They also specialize in decks and patio building, custom home building, energy audits, duct cleaning, crawl space encapsulation, painting services and more.